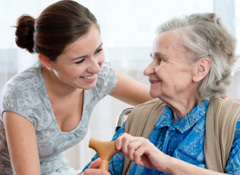 Are you helping a loved one with socialization, finances, transportation, meals or other activities? Family caregivers can find out about health and community resources, placement options, support groups and more. This free class also includes a discussion about emotional issues people face when caring for a loved one and coping techniques that can help relieve stress.